We ended up choosing 4 readings today, as well as the Bible reading (after a prayer to the Holy Spirit). The Bible told of the 2 witnesses (Enoch and Elias) who were taken up to heaven. It told of a great earthquake and many thousands were killed. This cast fear into those remaining, who then praised God in heaven. The seventh angel announced the kingdom of Christ, who would reign forever. It tells of the “ancients” who talk about the good who would be rewarded and those who corrupted the earth would be destroyed…lightning, … earthquakes, … great hail. This was encouragement for us, knowing that our faith would be rewarded. The first reading from the Book of Truth (see below), was more encouragement for us, in that Jesus warns us of the signs we should look out for before the Warning, the gifts of Confession and CP 24 and what would happen during the Warning. At the end Jesus tells us that he needs us to pray to help Him save the souls who will not acknowledge their sins or ask for mercy during the Warning. The third reading (see below) expands on the work of His messengers. How many fear the messages because the Truth means that their lives will change. He speaks of their many fears but also reassures them of His Love which will bring them peace. Jesus reassures us over and over again of His Love and protection – just like children who have to be reassured and reminded over and over again of their father’s love. He gives us instructions, so that we will find it easier; He guides us and shows us the way. So you see these messages are much more than any other prophecies have ever told us. The Book of Truth is a Father’s Love and care of his children. It is this which we feel when we read these messages. All we need to do is have Trust. The last reading (see below) gives details of how our Faith (the Truth) will be tampered with. It tells us of how the sacraments will be tampered with, in all Christian denominations – of the lies, the trials, of satan’s cunning. Jesus explains the arguments, which will be used to try and persuade us of these heresies – how they will use Jesus’ traits of love for the humble, of the poor etc. will be used. We have to be prepared ( Jesus has mentioned this a few times in the readings today) and arm ourselves with the knowledge of all that Jesus is teaching us. And after three days and a half, the spirit of life from God entered into them. And they stood upon their feet, and great fear fell upon them that saw them. And they heard a great voice from heaven, saying to them: Come up hither. And they went up to heaven in a cloud: and their enemies saw them. And at that hour there was made a great earthquake, and the tenth part of the city fell: and there were slain in the earthquake names of men seven thousand: and the rest were cast into a fear, and gave glory to the God of heaven. The second woe is past: and behold the third woe will come quickly. And the seventh angel sounded the trumpet: and there were great voices in heaven, saying: The kingdom of this world is become our Lord’ s and his Christ’ s, and he shall reign for ever and ever. Amen. And the four and twenty ancients, who sit on their seats in the sight of God, fell on their faces and adored God, saying:  We give thee thanks, O Lord God Almighty, who art, and who wast, and who art to come: because thou hast taken to thee thy great power, and thou hast reigned. And the nations were angry, and thy wrath is come, and the time of the dead, that they should be judged, and that thou shouldest render reward to thy servants the prophets and the saints, and to them that fear thy name, little and great, and shouldest destroy them who have corrupted the earth. And the temple of God was opened in heaven: and the ark of his testament was seen in his temple, and there were lightnings, and voices, and an earthquake, and great hail. My dearly beloved daughter, it is my intention to bring every man, woman and child into my New Paradise on Earth, for if just one soul is left behind it would break My Heart. This is why the number of messengers I now send into the world has increased. It is so they can spread my holy word to encourage conversion. I do not send messengers to frighten My children. Instead, the role of my messengers is to prepare every person on this Earth, so that they are ready and worthy to live in this New Paradise. My children, the times you are living in are not pleasant. Law and order have broken down. Greed has meant that your financial stability has been stolen from you. Self-glory and obsession with ambition has meant that your faith has also been taken away from you. You, My children, are like as in a household where there is no parental control. Like spoilt children, you are provided with all the material comforts you crave without having to earn them. You are provided with food, which you don’t have to toil for. Everything that dissatisfies you is replaced with yet another novelty, another stimulant. Yet, nothing satisfies for long. Then rows take place among the children, each seeking to control the other to get their own way. Physical warfare can then break out. But no one is in charge and so they hurt each other, sometimes with grave consequences. This is how I view the world. My children are unhappy, lacking in spiritual comfort, but refuse to be guided by My Church. My Church today cannot control such an unruly population who do not find devotion to me to be as stimulating as the creature comforts of the flesh. War is destroying mankind and spiritual decline has created a vacuum in the world, which most of you, by now, feel the effects of in your hearts. Material glory glitters on the exterior, its light appealing to those starving for comfort, but there is nothing but darkness behind it. I am the light that is missing in your lonely confusing and somewhat frightening lives. This is why the time is close for me to step in and take charge. You, My children, must welcome this and prepare for my Great Mercy. You must pray for your brothers and sisters and look forward with open arms to welcome my intervention. Be confident that even the most hardened sinners will be relieved at the advent of this great event, the most important since my resurrection. Others will also accept my messages, but on certain days they will be torn in two by the doubts, which will assail them. For some they will question and question whether they are truly coming from Heaven. Then they will be full of anguish because they know that their lives are about to change and that the second coming will be witnessed by them. Fear of the future, fear of the hand of God and fear of Satan’s army torment them. Yet, while my messages can strike fear within their hearts, at times, they also bring comfort. For one thing is certain. 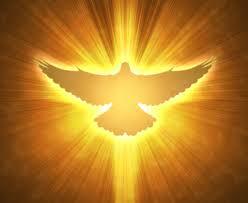 They will feel my Holy Spirit in their souls and once this happens they will become familiar with God’s love. God’s love, once felt by man, is something no man can live without. So, no matter how fearful you, my followers, may be, you must remember that I, Your Jesus, will never forsake you. I am the life in your souls. Through me, you will be saved. I am full of mercy for souls who turn to me for help. I will not let you suffer at the hand of Satan’s followers. I will cover you with my precious blood. Instead, you are being given the graces to prepare yourselves. Now you must be brave, do not allow doubts to cloud your love for me or blind you to the truth of these messages. They are being given to you so that you will be protected and kept safe from harm. My dearly beloved daughter, it is my desire that all of my priests, in every Christian denomination, begin to preserve the most holy sacraments. Those in the Catholic Church will be the first to witness the destruction and desecration of the sacraments. Those who are loyal to me, Jesus Christ, will prepare diligently for this terrible wilderness into which My Church will be plunged. You must prepare now, because it will be through your allegiance that all of God’s children will be able to receive the sacraments in their holy state. To all other Christian Churches I say this. Remind yourselves of my promise to come again on the great and glorious day of my second coming. Know too, that in the years leading up to this, that all those who follow me will face terrible trials. Those who will succeed to new positions of power, within all your denominations, will be led by the False Prophet and all will mouth his words and copy his actions. You will be protected by me, for soon I will be all you have to guide you. Only I can be trusted to tell you the truth when you will be swayed by the heresies, which will be presented to you as the new form of modern Christian theology. How cunning is Satan, for he will never shock – instead he will, through those who serve him – draw you towards a new twisted, back-to-front interpretation of my most holy word. The plans have been drawn up, by the unHoly Trinity, where all that is true will be banished. All that appeals to the secular world, when human greed and desire to ignore sin, will be presented, through all Christian Churches, to the faithful. This day has been written in stone and will be the final insult, allowed by God, before he sends me, his only son, to gather all those who remain true to the word of God. When the lies are presented to you, they will appear to be a good thing. The badge of humility will be common in all of your Churches, as it will be adopted by those among them who will deceive you. As a loving God, you are being given these warnings in order to save you. All I ask is one thing. Remain true to my holy word. My holy word was given to you, in the holy Bible. But the enemies of God will twist its meanings. When this happens, reject those who tell you that God would approve of such changes.